Installing solar panels for your home can save you thousands of dollars in energy bills, increase your home’s value, and protect the environment by producing green, renewable energy. When you add in tax credits and exemptions, going solar is a great long-term investment. Pay less on energy bills…forever. Once you have a solar system installed, your home energy bills will be dramatically reduced, with savings of thousands of dollars each year. And by generating your own power, you protect yourself from future increases in the costs of electricity. Talk to a Sandbar Solar representative, and we can do the math with you — and you can then decide if going solar is right for you. We will look at the costs of a solar system and project the savings from reduced energy bills over the next several years. After 5 to 7 years, most homeowners save far more money than the initial costs of installing the solar energy system. Understanding how the utilities bill their customers in different ways helps to show why creating your own sustainable source of power makes sense. PG&E’s standard Tiered Base Plan has three tiers. As you use the amount of electricity allotted for each tier during your bill period you move to the next, higher-priced tier. Tier 1: Each monthly billing period, the price of your electricity begins at the lowest rate. Average consumers use all of Tier 1 in about 12 to 18 days. Tier 2: After you use the allotment in tier 1, the rate for your electricity goes up to the second rate. If your Tier 1 allotment lasts 12-18 days, Tier 2 could last another 5-6 days. Tier 3: Consumers who enter Tier 3 are consuming significant amounts of electricity, and the rate for this additional electricity rises dramatically. 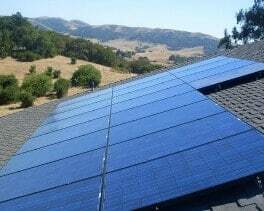 If you install a solar system, it may be possible to reduce the amount of electricity you purchase from PG&E so that you only pay the lowest Tier 1 rates. It makes financial sense to secure your energy independence and produce your power rather than buying it from the utility. Remember: Utility company rates have been steadily increasing over 5% a year, with a 30% jump in the last three years alone. With a solar system, you can lock in your electricity rates for decades to come. Solar power allows consumers to pay a considerably less, fixed cost for their energy without the volatility of fluctuating rate increases. A solar system may also qualify for a property tax exemption, meaning the value of the solar system is subtracted from the total property value for the tax purposes. For example: a $500,000 home – $10,000 solar value = $490,000 new property tax basis. Sandbar recommends speaking with your tax attorney to confirm eligibility for and property tax exemption. Going solar helps reduce the effects of climate change, decreases immediate pollution, and supports a movement to establish a sustainable energy system based on renewable power.